For this week in Amy Johnson Crow’s genealogist challenge: 52 Ancestors in 52 Weeks, I would like to present an interesting photo in my possession. This small photo was found in the very front of an old photo album that my great-aunt Ruth owned. Along side this photo was a set of two others of nearly the same size that said ‘Pa Johnston’ and ‘Pa with girlfriends’. 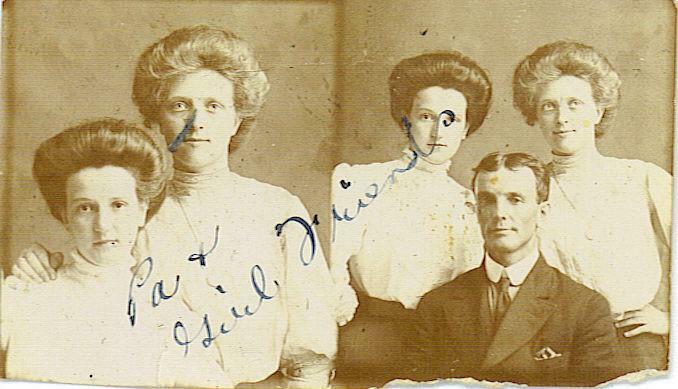 My best guess is that the young ladies from the first photo are somehow related to Pa Johnston, what my great-aunt called her step-father, my great grandfather, James Washington Johnston (1876-1967). The first photo appears to be possibly older than the second if we compare by way of the fashion. The first photo must have been taken sometime during the winter as the ladies seem to be wearing heavy winter coats. I especially like the details on the second lady’s coat, they seem to be some sort of flowery piping right along the front opening. 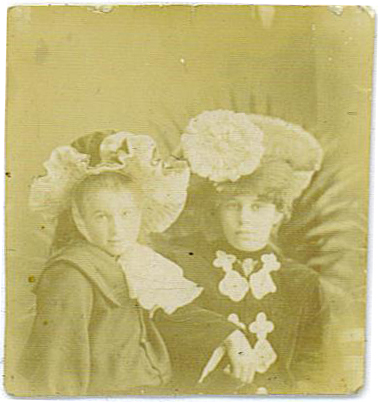 The hats / bonnets worn by the ladies in the first photo are also very interesting. I’d hazard a guess that the lady on the left is younger than the lady on the right because of her youthful face, her hair seems to be worn down, and her bonnet seems more youthful. The second photo is easier to date, based on my limited knowledge of historical fashion, because the ladies seem to be sporting the Gibson Girl fashion popular in the 1890s and early 1900s. James Washington would have been in his early twenties. I love these vintage photos! !